MBM Construction Company Inc. is a general building contracting company which has served municipal, commercial and private clients since 1979. MBM is registered as a Service Disabled Veteran Owned Small Business (SDVOSB) with the Center of Veteran Enterprises (CVE). 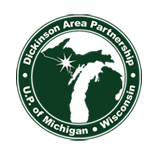 The majority of the company’s business has been in the Upper Peninsula of Michigan and bordering counties in Wisconsin. The Company has experienced controlled growth since it was founded in 1979 by Richard Maule and John Brooks. The two founders are still an integral part of MBM’s daily operations, which brings stability and continuity to the business. MBM Construction not only does general contracting for projects but also specializes in concrete and masonry construction. MBM has performed many large concrete and masonry projects as a subcontractor as a well as self performing this work under its own general contracts. MBM also self performs all carpentry, demolition and steel work under their own contracts which range in cost from $1000 to $8,600,000. The company employs well trained supervisors and trades people to complete all their construction projects. The company has a tremendous record of coordinating and performing all projects so they meet or exceed the owner’s expectations. MBM Construction is committed to conducting construction operations in the safest possible manner. They demand that employees and subcontractors follow all OSHA rules and regulations at all times. All MBM employees must successfully complete an OSHA 10 hour course, while all Project Managers must complete an OSHA 30 Hour course. Other safety certification held by MBM employees are the following: EPA lead safe, Aerial Lift training, Boom Lift training, Firestopping systems. Since the Company was founded in 1979, MBM has developed relationships with quality subcontractors that are committed to the same quality and timely delivery of projects as MBM. This allows MBM to provide project oversight and control from start to finish. As a general contractor, we are able to deliver entire projects from administering contracts to final punch list. This includes organizing subcontractors, working with developers, architects/engineers and owners. We take pride in working well with the entire project team and have completed many different kinds of projects.